Maryland's oysters have long been threatened by over-harvesting. Changes in population growth, expansion of the railroads and the advent of commercial shucking houses and canneries placed increasing pressure on one of the Chesapeake Bay's principal resources. 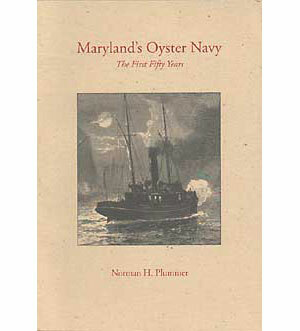 This book focuses on the state of Maryland's nineteenth- and early twentieth-century efforts to prevent oyster pirates from depleting the beds. The state's oyster navy, begun in 1868, often met stiff resistance, sometimes to the point of civil rebellion. Relying on original state and federal government records and reports, ship logs, and contemporary press accounts, Norman Plummer presents a scholarly survey of this early conservation effort. Detailed descriptions record the politics and patronage involved, the types of vessels used, and gives some sense of the public reaction to the contentious enforcement battles over the years.